The idea that the universe is non-random, above all that the universe follows rules analogous to human social rules that we can understand and follow in order to get along, is one of the most pervasive human myths and an important idea in most religions. Indeed we could define myth in this sense as a story or narrative which conveys the sense of an ordered universe, and in what way the universe is ordered (i.e. myth is descriptive); and religion as attempts to ensure we follow the laws implied by an ordered universe (i.e. religion is prescriptive). In ancient India this order was called first ṛta and then dharma.. In some tellings of Greek myth first there was khaos - an unordered, unstructured void - and then the ordered universe, the kosmos, was brought into being. Since the European Enlightenment it has been discovered that mathematical models can describe aspects of the world very accurately. Simple equations such as F=ma or E=mc2 tell us a great deal about how matter behaves, and what to expect from it in the future - matter appears to 'obey' these 'Laws'. In the course of my education I studied these physical laws in great detail, and personally demonstrated many of them. But along the way I began to see that my education in science consisted in being presented with a series of increasingly sophisticated models, none of which was true in any absolute sense, and none of which did much for my angst. The Laws of physics are useful and accurate descriptions of matter under most circumstances, but they do not meet every need. Just because we perceive order, does not mean that there is order. Hopefully readers will recall the movie A Beautiful Mind. It no doubt romanticised the experience of madness, and yet it highlighted something about the human mind. Our mind sees patterns - we are pattern recognition sensors of the highest sensitivity. In fact we tend to see order where there is none. Give a human being a random array of points of light (like, say, the stars) and we fill it with a bestiary and a pantheon that reflects everything that we care about. Given random events we will see connections. In the movie John Nash becomes obsesses with and delusional about patterns, but this was a natural faculty gone haywire, not simply a product of madness. One could also say that religion is simply our collective hopes and fears writ large and projected out onto the universe: our worst fear is that the universe is devoid of rules, or else utterly determined by rules; the hope is that there are enough rules to make life predictable, not too many as to make it stultifying. We want to be free to act, to choose, to experience novelty; but not too much. We want to know that the sun will rise each day, that the seasons will appear in due course, that the crops will grow and ripen; that we will have enough food and water, that predators will not carry us or our loved ones away etc. Most of these are not very sophisticated and reflect our evolved biological needs rather than our intellectual longings. Our societies overlay this with a veneer of sophistication, but our actual needs haven't changed in millennia, just the strategies for meeting those needs. As social primates it's important for us to establish social rules and hierarchies and for everyone to keep to them in order to fulfil our social needs. Hence we see the personified forces of nature as a celestial society, or as in ancient China as a celestial empire. The gods of course are not observed to obey the same social rules as humans, but never the less we discern order amongst them and do what we can to facilitate that order through sacrifice and prayer (all gods are similar in needing to be propitiated in order to behave - rather like over-sized toddlers). Many gods are effectively alpha-male primates in the sky - demanding submission and the best food. It seems irrational until you look at, say, chimp behaviour (I highly recommend reading Jane Goodall's In the Shadow of Man for instance). Part of the reason that apparently irrational religion is so very popular is that it speaks directly to deep human needs. I wonder if this mismatch between our basic biology and intellect may be behind the mismatch between ordinary people and intellectuals? Recently I watched TED video of Richard Dawkins exhorting his audience to militant atheism. One of the points he makes is that amongst members of the American Academy of Science less that 10% believe in a god. When you compare that to members of the public it's more like 75% of people believe in a god. Dawkins quotes (ex)president Bush as saying an atheist could not be a patriot. Atheism is, however, the largest category of religious belief in the USA after Christianity - outnumbering Judaism, Hinduism and all other religions put together. But atheists have no political voice in the USA. I thought that was a very interesting point. Intellectuals can generally see that the idea of a creator god is not credible, and it is interesting that Christian intellectuals back off from anthropomorphic versions of god even when they cannot give up the idea altogether. Ordinary people are harder to convince because they still project their hopes and fears onto the universe. And they want the universe to care. A caring universe is often personified as a loving mother or father (I don't recall any culture describing the universe/nature as a favourite aunt or uncle for instance). The universe described by scientists seems not to care about us. I had an important realisation about this some years back when I used to surf on the rugged West Coast beaches near Auckland, New Zealand (especially Piha). These beaches are potentially dangerous and every year several people drown there, though with care they provide excellent surfing and swimming. The waves just roll in to their own rhythm, and they do not hesitate to drown the incautious. The sea does not glory in killing people, or regret one getting away. The sea is completely and utterly indifferent to us. When you float around on it for hours at a time, several days a week for a couple of years this becomes apparent. The ocean is magnificent, beautiful, fascinating, and thrilling, but it is not alive, not sentient. The ocean does not care, because it cannot. Caring is something that humans do. 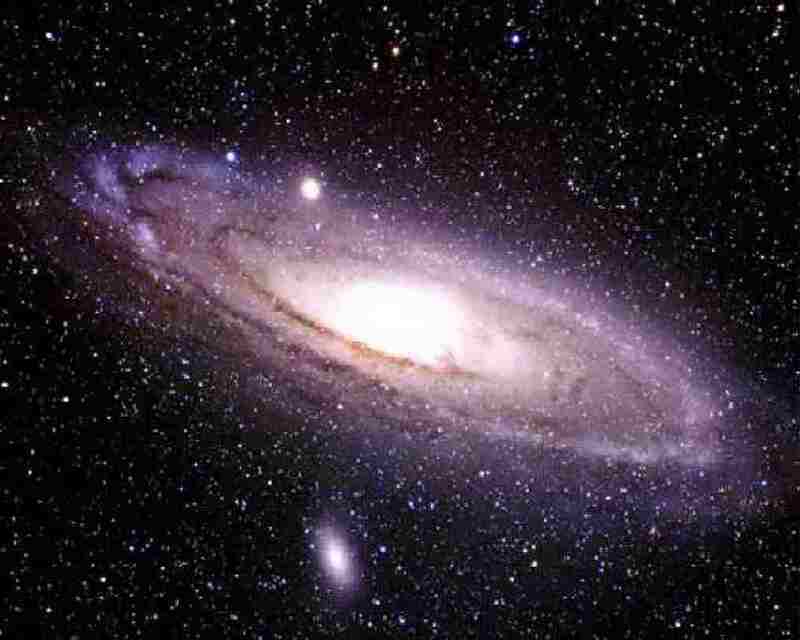 I believe the universe is like this also. The universe does not care about us. It is not an ethical universe (i.e. 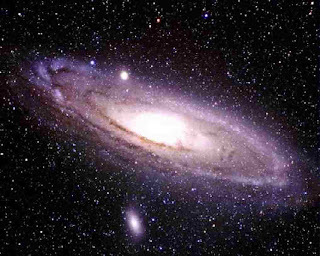 it has no bias towards 'good') but one which is not aware at all, let alone aware of us and our needs: the universe is largely inanimate and driven by physics and chemistry. This might sound bleak or hard, scientists are often accused of being cold, but I'm not finished. Because the wonder is that self-aware beings can and do care. Sure, other animals experience consciousness and emotions so some extent. I don't deny that. But humans have this ability to rise above circumstances that no other animal possesses. We have an ability to be altruistic not possessed by other beings - for instance we help strangers, and can turn enemies into friends. In effect it is humans that provide the love, the caring, and the emotional warmth in the universe because they are products of consciousness, especially self-consciousness. In response to one group of Brahmins who were concerned about the afterlife (Tevijja Sutta DN 13), the Buddha described a series of meditations in which one radiates positive emotions for all beings. One first of all radiates general goodwill, friendliness, love. One makes no distinctions between any beings, but imagines all beings everywhere being happy and well. Then we imagine that all people in need getting what they need, all the ill and unhappy beings becoming well and happy. Then we imagine ourselves celebrating along with everyone who has good fortune. And finally we radiate equanimity - a pure positivity not dependent on circumstances, but which arises out of our identification with all beings everywhere. What finer use of the imagination is there? It is no coincidence that the Buddha named this group of practices brahmavihāra (dwelling with god) and said of them that dwelling on the meditations was like dwelling with, or perhaps as, Brahmā (the creator god - usually depicted with four faces looking in the cardinal directions). The name was probably aimed at Brahmanical theists whose religious goal was brahmasahavyata 'companionship with Brahmā'. In response to concerns about the afterlife the Buddha simply teaches us to love without bounds in the here and now (as the Karaṇīya Mettā Sutta says). The Buddha's point is much the same as I have been saying. The universe, god if you will, is not the source of friendliness, love, caring, compassion. We are. Love is a human quality that emerges from our consciousness. It is up to us to provide this quality. It's a big job, and so we must set about it systematically, and collectively. Else we may fail, and we all know what that failure looks like. Fortunately we have ways of developing these qualities, and we have exemplars to inspire us. All we need do really is allow ourselves to be inspired, and have a go at the practices. MANY WORDS HAVE INTERESTING STORIES associated with them. This is a sixth set of terms which have caught my eye as having some interest, but which did not rate a whole post on their own. There is a list of other terms I've written about at the bottom of this post. In this post I cover words related to meditation: dhyāna, anusmṛti, bhāvanā, yoga, samādhi, sādhana, and meditation. 禪 or 禪 chán - traditional Chinese. 禅 chán - simplified Chinese. 禅 zen, ぜん - Japanese. "this character 禪 has the phonetic element dān 單 which has two small boxes at the top and wherever this character is used with simplified characters in Chinese these two boxes are are replaced with two strokes 单. In the Japanese version of this character the boxes are replaced with three strokes 単. The radical can also be written two ways - 礻and 示 - hence the two different characters 禪 and 禪. Of these 示 is the older form, and also an independent character meaning 'to show or instruct'. Originally 示 was a pictograph of a sacrificial altar and it's used as the radical in lots of characters with meanings associated with sacrifice, ritual and religion. Originally 禪 meant a sacrifice to the earth made by the the King or the ritual of abdication, though in these meanings it has the alternate reading shàn." Note: Some fonts seem to default older forms to newer ones and even traditional to simplified. Getting the various characters to display correctly is quite difficult - but at time of publishing I see them in the text. "禪那 is also used in the transcription of the place names Ujjayini and Nairañjanā which supports a reading of jana. Having a quick search the earliest uses of the transcription 禪那 seem to be by Kumārajīva [344 CE – 413 CE] and Dharmarakṣa [4th century] who were both central Asian." From China, most likely through Central Asia, we come back to India and Sanskrit. Authorities differ on the root of dhyāna. MW lists it under √dhyai. PED points to √dhī as the root. Whitney has √dhyā and distinguishes this from √dhī; he simplifies the meaning as 'think'. The word forms listed under each root are different: √dhī: 'dhīmahi, dīdhayas' vs √dhyā 'dhyāyati, dhyāti' (3rd person singular present indicative forms). However √dhyā and √dhī are evidently related. The noun dhyāna is formed by adding the primary suffix (kṛt-pratyaya) -ana (known as lyuṬ in the Pāṇinian code) to the root. The PIE root is *dheiǝ 'to see, to look, to show', and according to AHD this has a variant *dhyā which is where our words come from. A suffixed form *dhyā-mṇ (where ṇ is called a 'sonant' form, a sort of nasal vowel) gives us the Greek sēmeion and sēma 'a sign' from which we get our words semantic, semiotic, semaphore, etc. The Indo-European Lexicon lists dhī as a variant form of dheiǝ. The word dhyāna then from it's etymology means something like 'to observe mentally'. Rather than transliterate, the Tibetans translate dhyāna as bsam gtan (བསམ་གཏན), pronounced 'samten', meaning 'mental focus'. It is made up from bsam 'thought, intention'; and gtan, an intensifier, also meaning 'order, system'. 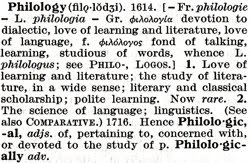 Clearly there is only a semantic, and no etymological or phonological connection. Tibetan translations were standardised quite early one, meaning that one can almost always reconstruct the original Sanskrit terminology. There are a series of meditation practices referred to as anusmṛti (Pāli anussati). The root is √smṛ 'to remember', and with the prefix anu- we get 'to recollect, or bring to mind' and anusmṛti is an action noun meaning "recollecting". These are practices therefore of recollection, remembrance and reflection. In Pāli there are six anussati meditations: recollections of the Three Jewels (buddhānussati, dhammānussati, and sanghānussati), reflection on ethics (sīlānusati), generosity (cāgānussati), and on [the merit of] the devas (devānussati); or ten with the addition of four (three with only sati instead of anussati) reflection on death (maraṇasati), on being embodied (kāyagatāsati), on the breath (ānāpānasati), and on peace (upasamānussati). Bhāvanā is from the Sanskrit root √bhū 'to be' in the causative form (bhū and be are cognate). It therefore means 'development, cultivation'. This is the word most commonly translated as 'meditation' (see below). There are two types of bhāvanā: śamatha and vipaśyanā. The cultivation of śamatha 'calming, tranquillity' is more or less synonymous with dhyānabhāvanā in early Buddhism. Also mettābhāvanā - the development of loving kindness. The word vipaśyanā means 'seeing' (paśyanā) through (vi-). The anusmṛti meditations are vipaśyanā-bhāvanā. If we were to create a Latinate neologism to translate vipaśyanā it might be 'diavision'. Yoga means 'connection, joining; application, meditation, spiritual practice' from the root √yuj ‘to yoke’ originally the act of yoking animals esp horses together, or to a chariot or plough. PIE *√yeug ‘join’ > Greek. zygon > Eng. –zygous, syzygy; Latin jugum ‘yoke’ > Eng. jugular, conjugate, & Latin jungere > E. join, junction, junta, etc; cf Welsh iou ‘yoke’; Old English geoc ‘yoke’; also S. yuga ‘eon, era’. [definition from my book Nāmapada]. Buddhaghosa's usual term for a meditator is yogāvacara 'devoted to yoga', but this and the related term yogin 'one who practices yoga' do not occur in the Nikāyas. This word means 'concentration, focus'. The Pāli commentators consider it to be synonymous with 'one-pointedness of mind' (cittass'ekagatā). The root is √dhā 'to place' with a double suffix sam- + ā; c.f. śraddhā 'to place the heart'. Samādhi is a morally neutral state - one can be focussed on good or evil. In the Abdhidhamma it is one of seven mental states which are always present - i.e. for their to be consciousness at all we must be focussed on something. Samyak-samādhi (Pāli sammāsamādhi) is the 8th limb of the eight-fold path. With respect to meditation samādhi has three degrees (in Pāli) parikamma-samādhi 'preparation focus'; upacāra-samādhi 'access concentration'; and appanā-samādhi 'attainment concentration;, i.e. the dhyānas. Sādhana is an action noun from the root √sādh ‘to succeed’, meaning 'leading to the goal, effective, efficient'. This word is not used in this sense in Pāli, and is more particularly associated with tantric practice. Someone who does spiritual practice is a sādhaka. √sādh is most likely related to the root √sidh which also means 'to succeed' and gives us the words siddha 'an adept, accomplished, one who has succeeded', and siddhi 'accomplishment, success'. By contrast the English word meditation comes from a PIE root meaning 'to measure': *med. Through Greek metron, we get the English cognates meter, measure, symmetry ('with measure'), and via Latin medērī 'to look after, to heal' (i.e. to take appropriate measures) words such as medical, medicine, remedy. Other words from Latin variants include modest, moderate; mode, model, modern. A Germanic compound *ē-mōt-ja is the source of the word empty. The word meditate, comes from L. meditārī 'to think about, consider, reflect'. I see a definite semantic cross-over with vipaśyanā-bhāvanā style meditations which generally do involve reflection, but not with śamatha-bhāvanā style meditations. Some people have opted to translate dhyāna as 'trance' but this seems to miss the point completely; 'absorption' will just about do; though I think now that 'concentration' is more common, though again I wonder whether concentration really capture the expansiveness and openness of the experience of dhyāna. I: tathāgata, sūtra, śramaṇa, loka, gahapati/gṛhapati. II: cakravartin, cintāmaṇi, yoniso manasikara, pāramitā, etymology. Since being contacted by Ted Meissner of The Secular Buddhist podcast for an interview (an enjoyable experience), I've been taking more interest in the theme of non-religious Buddhism as an adaptation of Buddhism to Western Culture. I've watched a Stephen Batchelor video on YouTube, and read various articles. Batchelor is a voice of reason and I appreciate his contribution. At the same time I've discovered that I very much enjoy Richard Dawkins' polemical approach to religion. Not long ago I changed my strap-line for this blog to "Western Buddhism... the Buddhist Enlightenment colliding with the European Enlightenment" which reflects my growing interest in how we adapt Buddhism to Western culture in a way that honours both. Though now a Buddhist and writer, I grew up secular and focussed by education on science. I have a B.Sc in chemistry from Waikato University, NZ. However, during my studies I realised that a detailed knowledge of the theory and practice of science was not enough. I was still largely unhappy, even depressed, most of the time, despite getting good grades in my chemistry classes. I did some shopping around before becoming a Buddhist and joining in with the Triratna Community. Buddhism seemed to offer what I was missing, and a large part of that was a community of people with coherent, well articulated, but also lived values. I found at the Auckland Buddhist Centre back in 1994. In this post I want to look at one kind of rhetoric used by religions adapting to new cultural surroundings, and contrast that with how Charles Darwin changed the Christian Church forever. In the Hindu tradition there is a popular narrative about Gautama the Wake. He was in fact the ninth avatara of Viṣṇu, and he manifested in order to stop Hindu's from carrying out animal sacrifices, to reform the Hindu class system so as to allow the śudra class to be liberated. Hindu's therefore see Gautama the Wake as a reformer from within. I have met people, both in the West and in India, who hold this view in all seriousness and who tried to convince me of it. Of course no Buddhist takes this seriously. The lie is so great and so bold that we hardly know where to begin to refute it. However the avatara story is not rhetoric intended to convince Buddhists that really they are Hindus. No, the rhetoric has a primarily internal audience. This is a story that is mainly told by Hindus for Hindus. Buddhists have used precisely this tactic. I've already pointed out that despite the efforts of many scholars (with K. R. Norman and Richard Gombrich at the forefront) to find parallels and echoes of the Upaniṣads in early Buddhist texts, that the early Buddhist portrayal of Brahmins suggests a slim and superficial knowledge - a second-hand caricature - rather than a true critique (See especially Early Buddhism and Ātman/Brahman). It might make sense to see the Buddhist critique of Brahmins as similarly intended for an internal audience, especially in light of the historical failure to convince many Brahmins. Later on we see other aspects of Indian religion being absorbed by Buddhists: Sarasvatī and Śrī in the Golden Light Sūtra; Śiva in the Karaṇḍavyūha Sūtra, and again in the Sarvatathāgata-tattvasaṃgraha where Śiva is converted to Buddhism and becomes a dharmapāla (often the form of Mahākāla). Indeed if you look at the periphery of the early Tantric Buddhist maṇḍalas you will find all manner of deities from the Vedas and Pūraṇas, some of whom like the ḍākiṇī who go on to become quintessentially Buddhist! So Buddhists have long employed this same kind of rhetoric, critiquing other religions for an internal audience. I think it helps to strengthen group coherence, and faith in one's chosen path, especially perhaps under adverse circumstances. I've noticed this same tactic on the Secular Buddhist Facebook page where there is a running critique of traditional Buddhism in terms of what it gets wrong: basically traditional Buddhism contains some superstition and some untestable metaphysical beliefs, such as, and perhaps especially, a belief in karma & rebirth. In my Secular Buddhist interview, Ted and I talked about rebirth & karma and the difficulties they pose for contemporary Buddhists. I am personally very sceptical about rebirth (see Rebirth and the Scientific Method), but I have argued that a belief in karma linked with rebirth might have pragmatic value when seen in the right light as a motivation to be ethical (see Hierarchies of Values). Mind you, I see beliefs per se as rather secondary to practical matters - what motivates someone to be ethical is less important than the fact that they are ethical. Motivations get refined by practice. Buddhist Atheists, or secular Buddhists, or whatever we call them, have a problem not unlike the problem of 'Christian Atheists' (people whose belief system is defined by not believing in the Christian God). I suppose most Christian Atheists would claim that they don't believe in any god, but the fact is that the most of the public dialogue revolves around the existence or non-existence of the Christian God. Christians still set the agenda. One of the things I see as vitally important for modern discourse (over which I have almost no influence; but, hey, everyone has an opinion) is that we who are atheists need to find some positive content and start talking about incessantly. We need to stop defining ourselves in terms of what we do not believe, in terms of opposition to the mainstream. God is irrelevant. 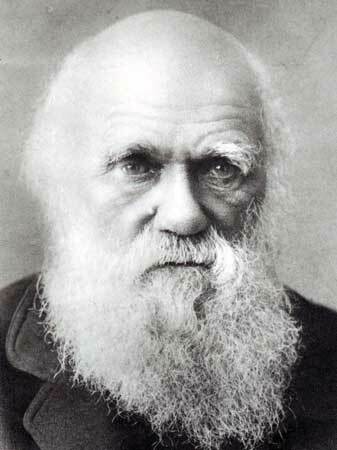 "But Darwin was very reticent about his personal beliefs, and reluctant to pronounce on matters of belief for others. His published writings are particularly reserved or altogether silent on religion." - What Did Darwin Believe? Darwin is a model for anyone who thinks a paradigm needs overturning. He didn't, as far as I know, complain about the lack of a level playing field, or the lack of political influence amongst the intelligentsia (as Richard Dawkins does in his 2007 TED presentation); and he did not directly attack church doctrine - he didn't need to. Though we still argue about implications of his finding, we cannot ignore them. Darwin destroyed the church doctrine of creation by merely presenting his evidence to the Royal Society and the world. In a sense I'm not interested in reading that traditional Buddhism is getting it all wrong. I agree that an Iron Age tradition, whose most recent innovations are medieval, is unlikely to sit well in our Information Age. It's a given that ancient traditions are failing to live up to the present situation, because we who live in these times, who invented these times, can barely understand and cope with them. On the other hand traditional Buddhism clearly helps many people to lead more meaningful and fulfilling and ethical lives - just as Christianity still appeals to many good people. On the other hand the idea that Buddhism is inherently in tune with a scientific worldview is not true either - it is rooted in old-world ideas that no longer make sense. Many of those responsible for presenting Buddhism to the Western audience since the 19th century have been passionate about the European Enlightenment rationalist legacy, and they have edited Buddhism to suit Western tastes. Aspects of Buddhism distasteful to the Western mind are often simply left out, glossed over, or explained away; and it's not until a closer association that we find that they are indubitably and perhaps indelibly present. It's not necessarily an intention to deceive, more like a strategy to attract people with what we already know attracts them, but to some extent it is a deception. One consequence is that some Buddhists still claim that the historical Buddha did not believe in any gods, but our own scriptures show him, on almost every page, conversing with gods from various religions. If he did not believe in gods, then who was he talking to? What I want to see is evidence that leads to conclusions that change the way we think about life in general, from which we can work out the implications for Buddhism. I don't see this coming from Cosmology or Quantum Mechanics or any branch of physics. I think the parallels drawn to these disciplines are either prosaic or spurious. Probably we will find interesting results from ecologists, and evolutionary biologists - especially the followers of James Lovelock and Lynn Margulis, and if I had more time I would go back to Lovelock, and read Margulis (who argues that symbiosis and cooperation are more important drivers of evolution than specialisation and competition). For my money I think we will find compelling evidence to change the way we Buddhists think in the work of neuroscientists such as Oliver Sacks, Antonio Demasio, V. S. Ramachandran, Joseph LeDoux; and their colleagues such as Thomas Metzinger (philosopher), and Martin Seligman (psychologist). I had not read anything in this area for some years, but have been working through Metzingers's recent book The Ego Tunnel: The Science of the Mind and the Myth of the Self. It's not always a joy to read, but the book has some very interesting things to say (more to come on Metzinger!). Clearly those who study consciousness and the mind are much closer to our interests than those who study matter. Rather than railing against rebirth, karma, or any traditional beliefs (which I think will convert very few people) we would be better off to focus on talking about the implications neuroscience research. One fascinating instance of this is the unfolding discovery of just how intimately connected are consciousness and the brain - this area of study is surging ahead at the moment. The conclusion that mind and brain are inseparable seems increasingly obvious; and the idea of disembodied consciousness increasingly unlikely. I predict that actual rebirth won't survive as a viable meme for much longer except in marginal, fundamentalist sects. However symbolic rebirth as a myth (in the Joseph Campbell sense) may well continue to inform our lives. And we will understand the difference more clearly. The challenge will be presenting what is in fact a highly technical body of knowledge to a readership already overwhelmed by information, with a decreasing attention span, and not trained in the kinds of thinking required to truly grasp the implication of science. The Darwinian approach of presenting a mass of positive evidence and allowing people to come to their own conclusions can change the world. Although an oppositional rhetoric (as described above) for an internal audience must have some value (or it would not survive), it won't reach beyond the borders of the converted - it is not useful for proselytising. In order to make changes in society, even in Buddhist society, one has to be clear that there is a better alternative, and I'm not sure that Buddhist atheists (or perhaps anyone who identifies with the label atheist) have found what that is yet - they know what they're against, but not what they are for. Or at least what they are for is actually part of the background of modern life (secularism, rationalism, materialism etc). This is my second book published under my own imprint Visible Mantra Press. I've been writing about words, and Buddhist technical terms for some time on this blog and have accumulated lots of notes about various words, as well as a number of useful reference works for tracking etymologies. I saw a need for an accessible guide to the Sanskrit and Pāli names we use in the Order. Most people don't have much Sanskrit or Pāli beyond a few technical terms, and struggle with the standard dictionaries. With my interest in words I was well placed to write such a guide. So I got hold of a list of all the names in current use and began to work on creating a list of all the words used in constructing them, including suffixes and prefixes. For each of these I offered some of the most common definitions, and then as much etymological information as I could find, and in some cases did some original research (for instance on mitra). It turned out to be fascinating as a large proportion of the words have English cognates, but there are also a few which are not Indo-European in origin but come from the Dravidian or Munda language families. Also one or two words are influenced by the Tibetan translation (ḍākinī and mañju) for instance. Then I wrote an introduction which covers the basic elements of how words are constructed (morphology) in Sanskrit. Hopefully this will be accessible enough for lay people to use in decoding names. Below is an example of how the book looks using the example of our founder Urgyen Sangharakshita. (ö-rgyan ཨོ་རྒྱན). Tibetan rendering of S. udiyāna (or oḍḍiyāna and other variants). Xuán zàng (玄奘) translated the word as 'garden' suggesting he read S. udyāna 'going out; walking out; park or garden'. The legendary birthplace of Padmasambhava. Though still not positively identified many consider it to be in the Swat Valley, others in South India or Orissa. P. uddiya means 'northern, northwestern' i.e. Nepal. PED suggests a connection with S. udīcya 'territory north and west of the Sarasvatī River' which could include the Swat Valley. The name Urgyen was given to Sangharakshita by Kachu Rinpoche in 1962. The name Sangharakshita (more correctly transliterated as saṅgharakṣita) is made up of two parts saṅgha and rakṣita. (also spelt saṃgha which is less correct, though not entirely wrong). Derivation is uncertain but most likely √hṛ as per PED. MW √han is unlikely; but C.f. MW entry for saṃ-√hṛ 'to bring together, unite, collect, etc'. PIE *√gher 'grab, grip, seize' > Gk. khortos 'enclosed space'; L. hortos (cf. W. garth 'fold, enclosure'; Irish gort 'crop, field'); Gk khoros > E. choir, chorus. Gmc *gurdjan > E. girdle, yard, orchard. Interestingly there is a L. parallel from PIE *ko(m)-ghṛ (= S. sam-hṛ/saṅ-gha) > L. cohors > E. cohort, court. The suffix –gha is a verbal (kvi) suffix which retains the PIE g. In S. spelling rules any nasal followed by gh > ṅ, hence correct spelling is saṅgha. However it is further possible, though avoided in Classical S., to use anusvāra – ṃ – to represent any nasal followed by a consonant allowing for saṃgha. Buddhist scribes often favoured anusvāra because it is invariably easier to write. This happens in other roots in gha, e.g. S. √han 'to kill' *ghan. See Jayarava 'Philological Odd & Ends V' for a more in-depth discussion of the etymology and spelling of saṅgha. (P. rakkhita) "guarded, protector, watched over" < √rakṣ 'to protect, observe, guard'. (note 'observe' means 'watch over' ). PIE *√ark > Gk. áléxo hence Alexander 'the protector'; L. arceo > E. ark, arcane 'enclosed' (and therefore 'hidden'), and exercise. The name Gurkha comes from go 'cow' + √rakṣ. 1. Here the relationship is 'Y of X' for example: Prajñāpriya 'the lover (priya) of Wisdom (prajñā)'; or Dharmadhara: 'the bearer or memoriser (dhara) of the teachings (dharma). Note that the first element can be plural. The relationship can also be 'Y for X'; 'Y through X'; or, particularly when the last part is a past–participle like rakṣita 'protected', 'X by Y' e.g. SAṄGHARAKṢITA 'protected by the saṅgha'. Note that I've included some of the technical jargon (this is tatpuruṣa compound) but it is not emphasised. So we see that Saṅgharakṣita means 'protected by the spiritual community'. Finally in the introduction I have sections on pronunciation and stress - so saṅ rhymes with 'sung', not 'sang' for instance; and kṣi has a short i sound as in 'bit', not a long ee sound as in 'beet'. Stress falls on the ra (which is 'heavy' because it is followed by a conjunct consonant), so: Saṅgharakṣita. With almost 500 entries the book covers the meanings of all names in use in the Order up to June 2010. I've tried to make it as easy as possible, so the entries are in the order of the English alphabet ignoring diacritics - all diacritics are provided, along with some guidance on how to break down names which might be tricky. For instance Dharmolka 'a firebrand for the Dharma' is make up from dharma + ulka 'firebrand'. The change of spelling is caused by sandhi meaning 'junction'. The rules for sandhi are complex, but only a few are relevant to names in use, and these are listed and explained in the introduction. In this case when a word ending in a is combined with a word beginning with u, the two vowels coalesce to o.
I'm very pleased to be able to make this offering to the Triratna Order, and I hope that it helps everyone involved with the Order to feel more comfortable and familiar with our names.